Amy’s Drive Thru—an all-vegetarian drive-thru restaurant in Northern California—has gained a lot of fans since it opened a few years ago. In fact, the restaurant has been so successful that its owner, frozen food company Amy’s Kitchen, has announced plans to expand the drive-thru nationwide and has just confirmed a new location in the San Francisco International Airport (SFO)! With American classics like burgers, mac and cheese, and chili, everything on the menu is vegetarian and can be made vegan by request. They even have dairy-free milkshakes! Plus, the airport is one of two new locations for the chain, with another drive-thru planned for Corte Madera, California. This location will take over an abandoned Denny’s diner and will open, along with the airport location, sometime next year. We have some big news! Amy’s Drive Thru is coming to @flysfo’s Terminal 1 in July 2019 ✈️ Get ready for next level airport food for omnivores, vegans, vegetarians and gluten free eaters alike. Think breakfast sandwiches, veggie burgers, burritos, milkshakes and more. Our Corte Madera restaurant is still in the works, too. Two new locations to come in 2019! As vegan foods rise in popularity, the availability of delicious plant-based dishes will continue to grow. And this new SFO Amy’s Drive Thru will add to the increasing number of vegan options offered at airports around the country. Many airports now offer worthwhile vegan fare, especially in California. Just a few years ago, the Los Angeles International Airport earned the distinction of most veg-friendly airport in the nation. And for good reason: Travelers in Los Angeles have their own all-vegan eatery (Real Food Daily) inside the airport! With new vegan options popping up on menus left and right, there’s never been a better time to ditch animal-based foods. 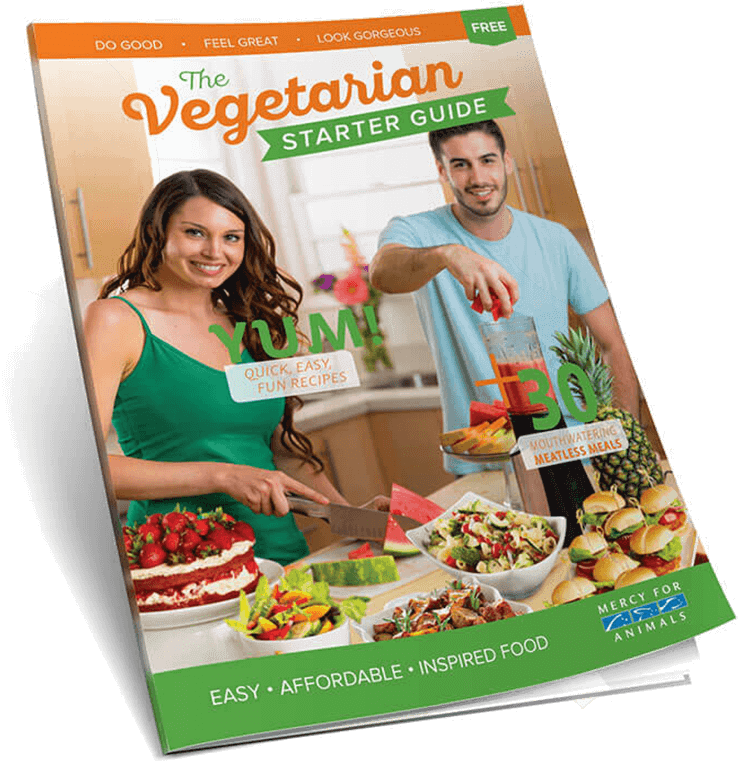 For help making the switch, order a FREE Vegetarian Starter Guide today.